Based and established in Niagara, See Sight Tours offers its guests several tours of Niagara Falls and the Greater Toronto Area. The guides are at the heart of the concept: they are locals who stand out for their friendly personality and are not afraid to think outside the box. 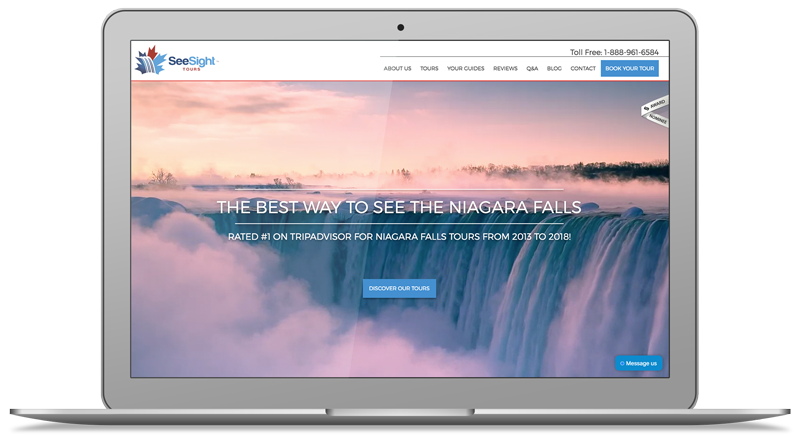 With a strong growth thanks to its innovative concept, See Sight Tours wanted to better manage traffic with a new website. The new website had to allow the user to book a visit easily, while reflecting the beauty of the tourist site. 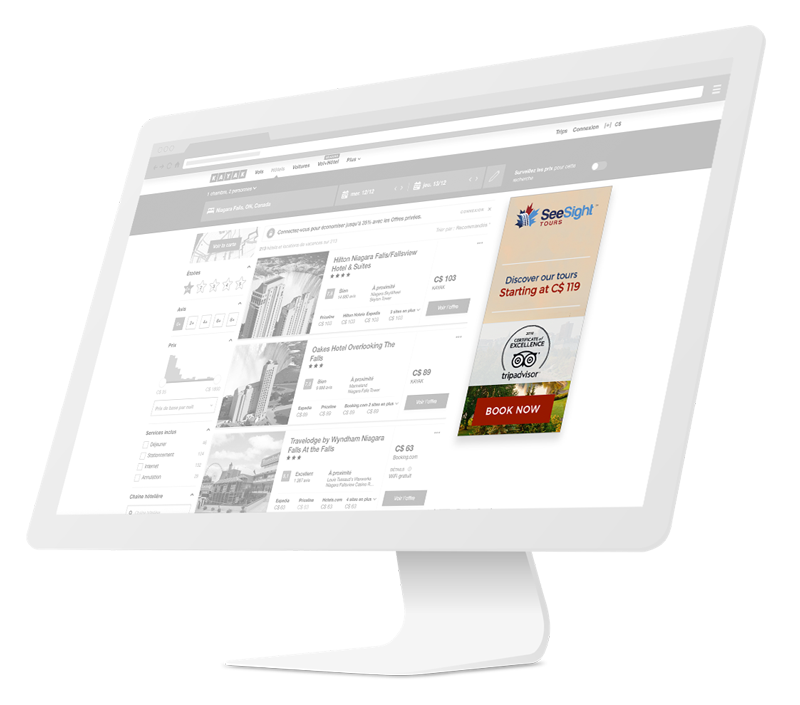 The two objectives have been achieved: the online booking module makes it possible to manage the requests in a simple and integrated way, and the new design enhances the visuals. Besides, the website was also nominated at the CSS Design Awards. In order to multiply bookings during the high season (from June to September), online advertising is a solution offering a very good ROI. A campaign was first put in place on Facebook, then with animated banners on a Display network. Programmatic technology has also been used to achieve highly accurate targeting, maximizing bookings through the interpretation of big data collected from partner sites.